Russian Foreign Minister Sergei Lavrov met with the Vatican Secretary for Relations with States Paul Richard Gallagher. This is stated in a message published on the website of the Ministry of Foreign Affairs of Russia. 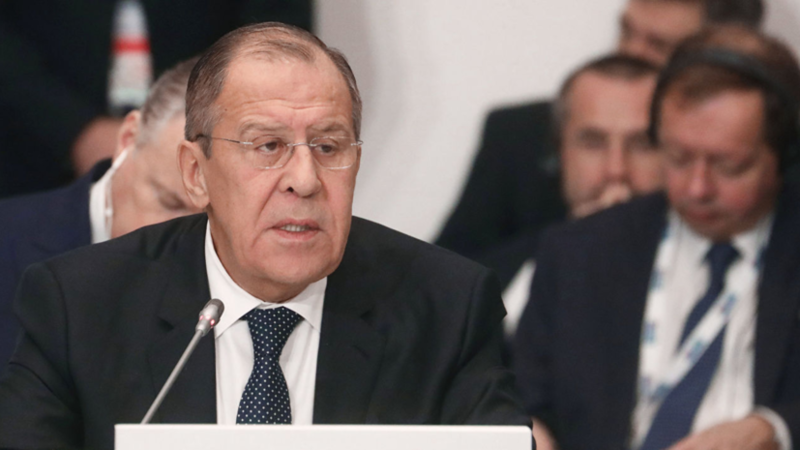 The meeting between Lavrov and Gallakher was held on the margins of the Council of Ministers of Foreign Affairs of the OSCE member states. It is noted that during the meeting the parties expressed mutual satisfaction with the high level and progressive development of the Russian-Vatican dialogue, including at the intergovernmental level and along the line of interaction between the Russian Orthodox and the Roman Catholic Church. "During the conversation, the parties confirmed the mood for the further development of multifaceted cooperation between Russia and the Holy See," the Foreign Ministry said. Earlier, Lavrov discussed with the OSCE Secretary General Thomas Greming the work of the Special Monitoring Mission in Ukraine.